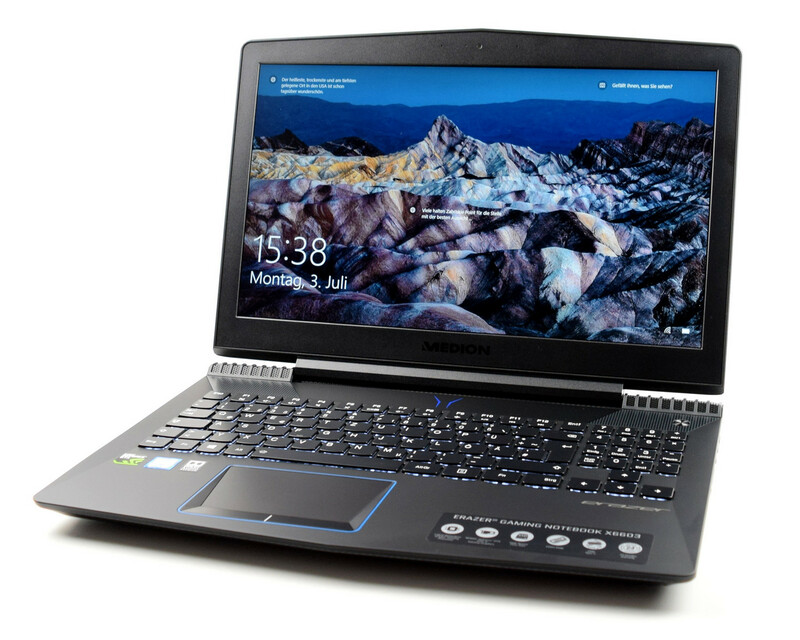 Model: Lenovo’s subsidiary Medion has just made available its latest affordable but high-end gaming notebook which is the Medion Erazer X6603. The high-end hardware specification allows users to use it for playing games at high detail, studying or even to use business applications. With Turbo Boost 2.0, the powerful Intel Core i7-7700HQ processor has enough power to keep up with current games. The graphics card in this league is also logical. The Nvidia GeForce GTX 1050 Ti is a piece of high-performance gaming hardware at the desktop level. It has with 4 GB GDDR5 memory and digital HDMI audio/video output. Also with the memory, this notebook uses one, with a PCIe SSD, which starts system and programs even faster than previous SSD hard disks. A 1 TB HDD holds abundant additional memory for photos, videos, music, and files. Thanks to 16GB of DDR4 memory multitasking is very fast. The chassis of the new Erazer X6603 reveals that the design is a modified version of Lenovo's existing Legion Y520 series of notebooks. The laptop adopts an original gamer-like look with its black blue design. The angled speaker grilles, bar hinge, and surrounding trackpad features are not unlike what Lenovo currently offers on its latest Y series. The Medion however, appears to be more streamlined for a wider mainstream appeal. The speakers of the laptop are High-Definition-Audio with 2 loudspeakers Dolby Audio Premium certified. As for the battery, the laptop features a 4-cell Li-ion battery which is capable of delivering an average battery time of 4 hours. Since it is clearly not able to last thru a whole day with the tightly sized battery, it is essential to bring a power supply on the go. On the software side, it has Windows 10 Home with a comprehensive Windows 10 App package and a free trial version of Office 365 are pre-installed. The display of the laptop is a 15.6-inch FHD IPS display with a resolution of 1920x1080 pixels. While dominating opponents in a game, a user will have less burden of reflection, light and greasy fingerprints with the anti-reflective screen. An integrated USB 3.1 type C connector is available for fast data exchange. Other than that, it has the usual USB Type-A, HDMI, and RJ-45. The only disadvantage of the laptop is the absence of a DVD player for playing CDs and DVDs. Wirelessly, the Medion Erazer X6603 is equipped with an Intel Wireless-AC 8265 adapter as well as Bluetooth 4.1.